This seed-themed companion to Rah, Rah, Radishes! and Go, Go, Grapes! proves that healthy eating can be both fun and delicious! What do nuts, beans, grains, and even some spices have in common? They’re all seeds—seeds we can eat! So get ready to greet lentils and limas, take a crack at coconuts and cashews, and say hi to rye and buckwheat. You’ll soon be seeing seeds in a whole new way! 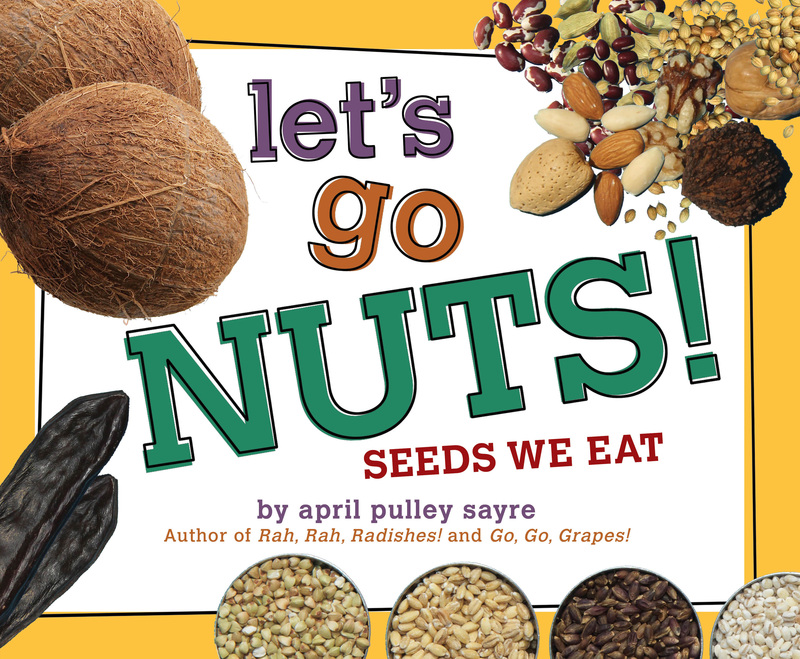 This seedy celebration comes complete with an author’s note full of fascinating facts about seeds, including a section about nut allergies and how to help nut-sensitive friends and classmates stay safe and healthy. 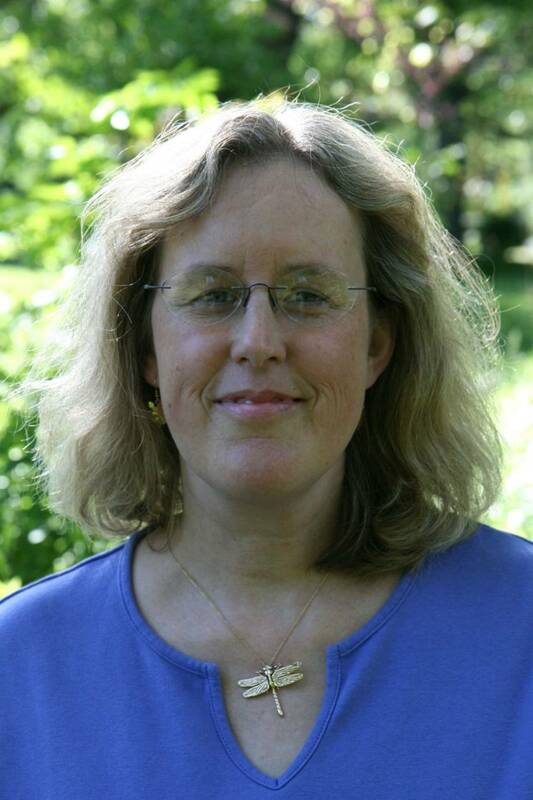 April Pulley Sayre is an award-winning author of more than fifty-five natural history books for children and adults, including Raindrops Roll; Best in Snow; Full of Fall; Rah, Rah, Radishes! ; Go, Go, Grapes! ; Let’s Go Nuts! ; Warbler Wave; and Bloom Boom! April and her husband, native plants expert Jeff Sayre, love science and adventure. Visit her at AprilSayre.com. “After tributes to veggies (Rah, Rah, Radishes, 2011) and fruit (Go, Go, Grapes, 2012), Sayre delivers another peppery blend of upbeat, celebratory rhymes and photos taken at local grocery shops and farmers markets. This time, the spotlight’s on seeds…the combination of short, pithy verse and artfully displayed food provides an excellent aid for classroom or family learning. To that end, Sayre (a veteran of school visits) provides an afterword that answers questions about the science and nutrition of seeds, nut allergies, cultural connections through food, and more. "Sayre builds on the success of Rah, Rah, Radishes! (2011) and Go, Go, Grapes! (2012, both S & S) with this cheerful foray into edible seeds. The zesty, rhyming text is paired with the author’s appealing farmers’ market photographs. Her creative layouts make even a pile of beans worth examining and admiring. The book design and colorful pages are a perfect complement to the photos, tying the package into a cohesive whole. This is an opportunity to introduce youngsters to foods they may not be familiar with, such as butternuts and quinoa, while celebrating the everyday, such as peanuts and corn. In the informative back matter, kids can learn the nitty gritty of nuts, grains, beans, and spices and get the answer to the burning question, “Why don’t seeds we eat grow inside our stomachs?” The book is excellent storytime fun and perfect for any preschool or early elementary curriculum, providing a jumping-off point for discussions of food, farming, culture, and more. A rollicking, frolicking good time." "This companion book to Rah, Rah, Radishes! (2011) and Go, Go, Grapes! (2012) looks at edible seeds and finds lots to love about them. Seeds might not sound so tasty, but the nuts, beans, grains, and spices shown in Sayre’s excellent color photos look irresistible. Arranged in bins, bags, bowls, and jars, the colorful, multitextured varieties become a feast for the eye, while the text chants an accompanying cheer that satisfies the ears with its rhythm and rhyme...the beautifully composed photos often create their own rhythms through repetition of form and color. An appended three-page section offers a good deal of information on the edible seeds shown and refers readers to the author’s website for a related bibliography. Fun for reading aloud, this handsome book is also a useful addition to curriculum units on seeds or nutrition." "From black beans to hazelnuts to coconuts to pinenuts to grains and spices, this is a great introductory text.... The font is large, the text is simple and rhyming, and the illustrations are excellent. A two page appendix gives more information in paragraph form. This is a very nice addition to a nonfiction section of any children’s library." Book Cover Image (jpg): Let's Go Nuts!